If your printer is connected to Eiger, printing is as easy as pressing a button. Please make sure the print bed is set up and glued before you start printing. Open your part in Eiger and configure it as needed, then press Save. Click Print, at the bottom right corner of the screen, when you are done checking out the layers. 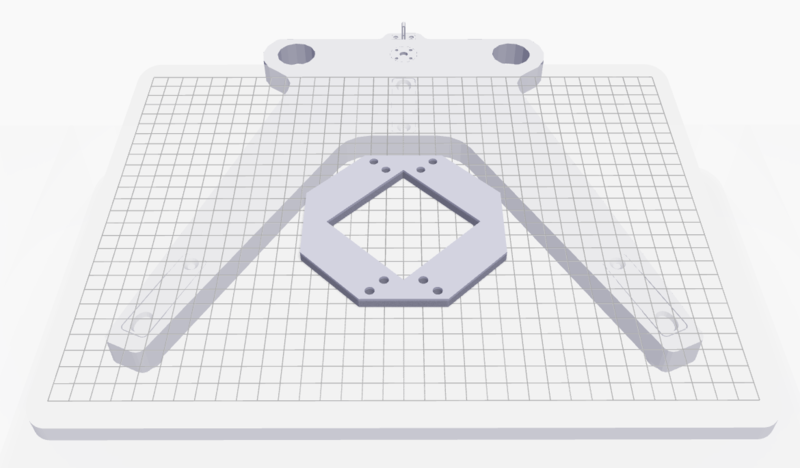 Move the part to the desired position on the print bed. Change the orientation about the Z-axis of the part using the Rotation field. 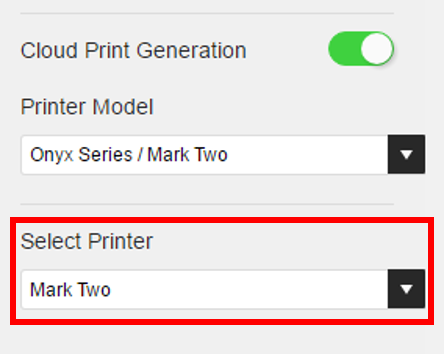 Enable or disable the Cloud Print Generation toggle button as desired. Cloud Print Generation refers to generating the .MFP print (i.e. slicing the part) remotely on our servers instead of in your browser. 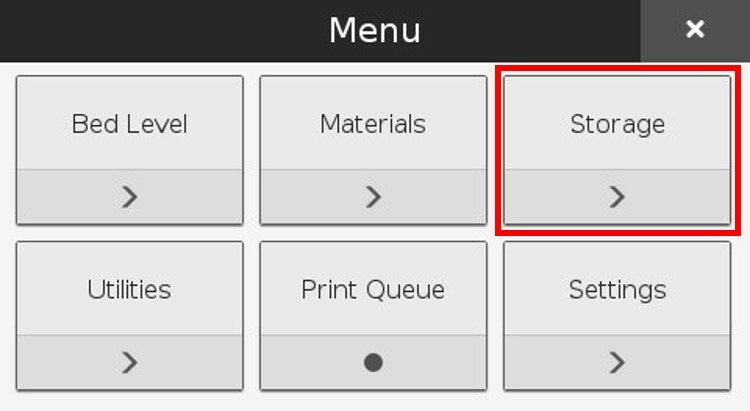 This means you can minimize the browser while the print is being generated. Note: If you send a very large and complex part to be sliced using Cloud Print Generation, the process will time out after 15 minutes. In the rare event that you need to print such a part, disable Cloud Print Generation to slice the part on your local machine instead. Select the printer you want to print to from the Select Printer drop-down, listed under Available. Enable or disable the Cloud Print Generation toggle button as desired. 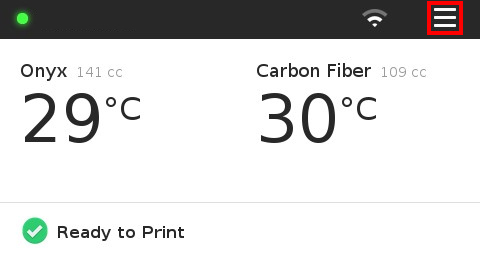 Select the printer you want to print to from the Select Printer drop-down, listed under Busy. Verify the print details and address any material warnings listed in the pop-up window. Select Add to Queue to add the print to the end of the print job queue for that printer, or select Print Next to add the print to the top of the print job queue for that printer. Select your Export Build from the drop down menu in the Printing Settings panel at the right side of the screen. Press Export Build at the lower right corner of the screen. Save the file that downloads to a FAT32 formatted USB drive and plug the USB drive into your printer. Select the Storage tile from the menu options. 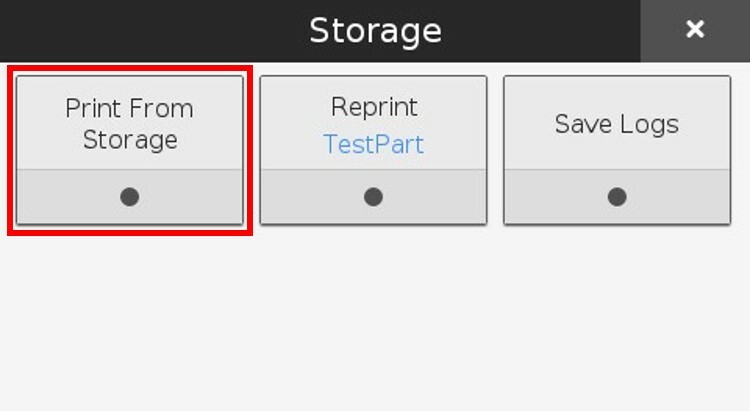 Select the Print From Storage tile from the menu options. Select the part file on the screen.